Figure 11 Renal enhancement after injection of dendrimer-based contrast agent. 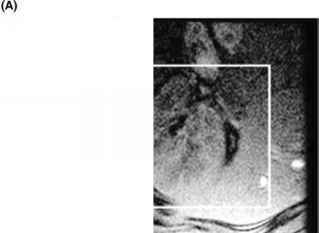 (A) In a normally functioning kidney, we note a bright band within the outer stripe of outer medulla (arrow) where proximal straight tubules are located. 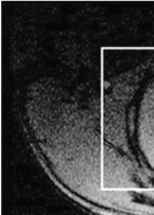 (B) In mildly damaged kidney, this bright band disappears and late enhancement of inner medulla predominates. (C) Severely damaged kidneys showed no appearance of medullary enhancement. Source: From Ref. 63.
molecules. In animals, the degree of macrophagic infiltration and proliferation is correlated with the severity of renal disease, whereas it remains unclear if macrophages produce direct renal insults or if they are a consequence of the disease in order to regulate the inflammatory response. Their role is complex, contributing to glomerular and tubulointerstitial injury through the secretion of various cytokines and proteases, which induce changes in extracellular matrix and progressive fibrotic changes (glomerulosclerosis, tubulointerstitial fibrosis, etc.) (68). Today, in clinical practice, the degree of inflammatory response in the kidney can be only approached by renal biopsy. Therefore, noninvasive and reproducible identification and quantification of intrarenal inflammation has great potential because it could participate in characterization of the kidney disease and assessment of prognosis and monitor response to treatment. Depending on the type of kidney disease and its severity, macrophagic activity may predominate within the glomeruli (i.e., within the cortex), or within the intersti-tium (i.e., diffuse, within all kidney compartments), or in the medullary ascending vasa recta (i.e., within the medulla). USPIO are small-sized nanoparticles that have a long half-life in the blood stream (two hours in rats and 36 hours in humans) and are avidly captured several hours after intravenous injection by extrahepatic cells with phagocytic activity that include blood circulating monocytes and resident macrophages that are present in most of tissues. Several models of experimental nephropathies in rats were used to demonstrate the detectability of intrarenal macrophagic activity in vivo: a model of nephrotic syndrome (69) with a diffuse decrease of SI predominating within the outer medulla; a model of acute graft rejection, with a diffuse homogenous decrease of SI in the three renal compartments (70); a model of antiglomerular basement membrane glomerulonephritis, comparable to Goodpasture's syndrome in humans, with a drop of SI within the cortex only (Fig. 12) (71); a model of ischemia-reperfusion, with a drop of signal within the medulla (72). The degree of decrease of SI was always correlated with the number of macrophages within each renal compartment and to the severity of disease. Figure 12 Accelerated nephrotoxic glomerulonephritis in rat, (A) before and (B) 24 hours after injection of USPIO. In B, there is a notable decrease in SI in the renal cortex (arrow) after injection, due to the superparamagnetic effect of USPIO, whereas no SI change is observed in any part of the medulla (star). Abbreviations: USPIO, ultrasmall particles iron oxide; SI, signal intensity. Source: From Ref. 71. Figure 13 Patient with renal transplant and acute rejection. 72*-weighted MRI (A) before and (B) 72 hours after intravenous injection of USPIO shows a decrease of signal related to inflammatory cellular infiltration in all renal compartments. 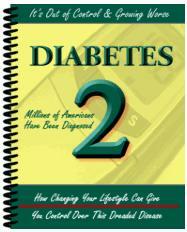 Abbreviations: MRI, magnetic resonance imaging; USPIO, ultrasmall particles iron oxide. acute tubular necrosis (two transplanted kidneys and one native kidney) showed a significant decrease of SI within the medulla. These preliminary clinical findings seem to corroborate experimental results and call for larger multicenter clinical trials and evaluation of imaging at two days after injection to reduce delay in the diagnosis. Outer medulla is particularly sensitive to hypoxia because the active reabsorption process within the thick ascending loop of Henle requires high level of oxygen consumption (74). Therefore, decrease of medullary blood flow or increase in tubular reabsorption, as in diabetic nephropathy at the stage of hyperfiltration, may induce medullary hypoxia and secondary ischemia. This blood oxygen level—dependent (BOLD)-sensitive MR approach has been already covered in a recent review (75). Using a multiecho gradient-echo sequence, R2* maps can be obtained showing a higher R2* within the medulla (i.e., lower ^O2) (Fig. 14A). This effect is better detected with 3T magnets, which offer higher signal-to-noise ratio and greater sensitivity to magnetic susceptibility (Fig. 14B) (76). BOLD technique does not measure ^O2 directly but allows intrarenal R2* (1/72*) measurements, which are closely related to the concentration in deoxyhemoglobin (77,78). Therefore, absolute R2* values cannot be used in practice. If the disease is asymmetric, as in RAS, static comparison of both kidneys may identify hypoxia on one side. In parenchymal renal diseases, only dynamic changes following physiological or pharmacological manipulation can identify the kidney response. For example, Prasad et al. (79) demonstrated the medullary hypoxic effect of injection of radio-contrast agents in rats (known to induce acute medullary hypoperfusion). On the contrary, furosemide and water load increase medullary oxygenation (at least in young individuals) (80). These changes can be documented with dynamic BOLD imaging. Figure 14 Principle of BOLD acquisition in the kidney. 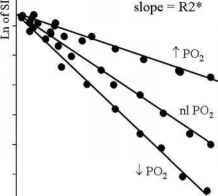 (A) The R2* is greater when the tissue pO2 is low and lower when it is high. (B) A T2*-weighted multiecho gradient-echo sequence allows to calculate a R2* map showing a higher R2* value within medulla, here obtained at 3 T. Abbreviation: BOLD, blood oxygen level—dependent. Source: From Ref. 76 (Part B). reduction of local synthesis of prostaglandins, nitric oxide, or other vasoactive substances. Wider applications of this technique to clinical ischemic conditions of the medulla have still to be established. Exaggeration of extracellular matrix synthesis, with excessive fibrillar collagens, characterizes the development of fibrotic lesions in the glomerular, interstitial, and vascular compartments (82), leading progressively to end-stage renal failure. Systems participating in these processes are better identified and various therapeutic interventions have been shown to prevent or favor regression of fibrosis in several experimental models (82). Therefore, development of new noninvasive methods for identification and quantification of fibrosis would also be worthwhile. 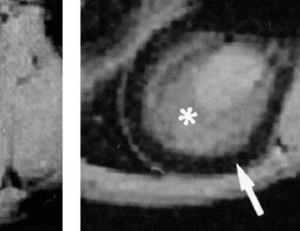 Two approaches can be proposed with MRI: diffusion-weighted sequences or MR elastography. With diffusion imaging, the ADC values would be reduced due to a restriction of the diffusion space in proportion with the development of fibrosis. Indeed, the first clinical trials on chronic renal diseases, including RAS and ureteral obstruction, showed a decrease of ADC values (83), which were highly correlated with serum creatinine levels. However, none of these studies presented correlation with the pathological quantification of fibrosis. Figure 15 MR elastographic image of a human kidney in vivo. 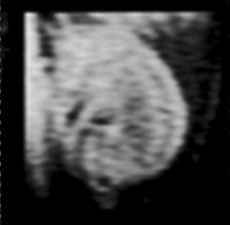 (A) Axial MRI through the left kidney of a normal volunteer. Mechanical shearing waves are applied with an oscillating plate at the body surface (arrow). (B) Corresponding wave image for the region included in the white outline. Abbreviation: MRI, magnetic resonance imaging. Source: From Ref. 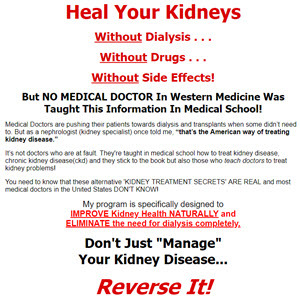 84.
and preliminary results in kidney transplants have been reported (85). 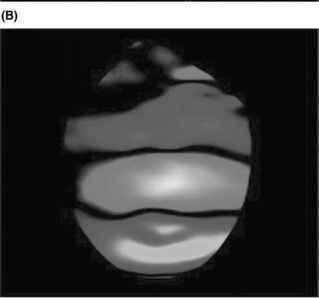 Using MR elastography, based on a phase-contrast technique utilizing cyclic motion-sensitized gradients to image mechanically applied propagating acoustic shear waves, Shah et al. (84) validated the method in vivo on rat models of nephrocalcinosis and obtained the first elastographic images of native human kidneys (Fig. 15). 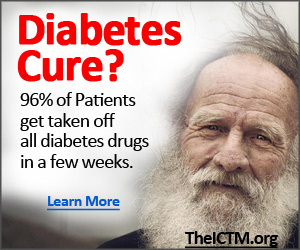 These extremely encouraging results still need clinical validation. 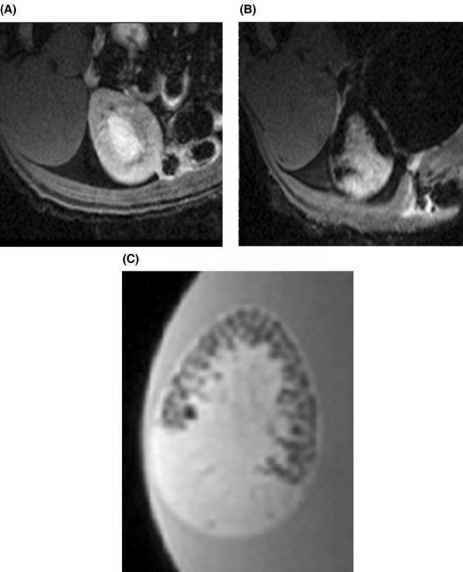 Figure 16 Transverse T2 -weighted MR image of a rat kidney obtained (A) in vivo before and (B) in vivo and (C) ex vivo seven days after intra-arterial injection of magnetically labeled mesenchymal stem cells. The cells are still visible within the cortex and histology found the cells into glomeruli. Abbreviation: MR, magnetic resonance. Source: From Ref. 93.